You must have a plan for how to learn Portuguese in 6 months when you are planning to work with clients who live in Brazil or Portugal. You must get to know the language, learn how to deal with people, and how to speak the language in a practical way. Your clients and partners will speak either the European or the South American form of Portuguese, and they speak these languages with the little additions that are unique to their regions. Someone who is trying to learn the language can use each of the steps below to learn, apply that information in business or conversation, and feel much more comfortable working with others. You might discover how to learn Portuguese in 6 months, but you do not need to be fluent. You could be functional in the language so that you can speak with others, read, and write a bit. Do not put too much pressure on yourself as you begin your studies. It could less time to learn the language if you are taking in only the broad strokes. The language is complex, but you can learn the basics in a short period of time. Be certain that you have made a plan for yourself that will help you reach certain goals every day, every week, and at the end of the month. You could be ready in just a couple months if you only need a little facility with the language. 3. Do You Have Language Experience? People who have language experience in anything classical like French or Italian will perform well. Someone who knows Basque and/or Esperanto will do well in Portuguese because all these languages ar so similar. If you do not have any language experience, you might need a little more time to learn. It takes time to learn a language, and many people do not do all the little things that are needed for them to learn. You can use a training program, or you could watch Portuguese TV, listen to Portuguese radio, or even listen to Portuguese music. You must pile all these techniques together so that you can learn. Be patient as you plan to travel to a location where this is the local language. You should use a course to learn Portuguese before arriving. There are many courses out there, but you do not need to do too much unless you require a lot of facility once you land. Talking to people in the area will help you even if you are there on business and have goals to reach. Speaking to locals helps you learn where you are slipping up, and you also learn how fast they speak as compared to you. They know that you are not local, and they will be helpful as they explain where you have slipped up. It takes some time to correct your mistakes, and you will have real life experience that is useful. Speaking to ex-pats who live in these locations helps you learn what you are messing up as you speak. You might be in the country on business, and they will explain how they picked up the language once they got there. The goal for most people is immersion, and that is why you need someone to talk to. If you are not traveling to a place where they speak Portuguese, you need to find someone who will speak with you regularly. There are apps for this, and you should invest a little time chatting with helpers who use you to learn English. Jargon/slang that you use when speaking Portuguese only comes up when you have casual conversations with people. These simple talks make it much easier for you to pick up on how people speak, and you must make note of all the slang that is used. You do not want to sound like an old person who only speaks properly. Young people make new words and phrases all the time. Someone who has traveled to a place where they speak Portuguese must look at all the signs, read any notices they find, and pick up brochures or booklets about the location. You can pick up a lot just by reading. You will not understand it all at first, but you can use context clues to get better. If you have not traveled, you should read, look at pictures, and even watch videos that allow you to immerse yourself in reading the language. These are simple things to do, but they make a difference because you are forcing yourself to think in Portuguese. The details of any language are what make them tick. You need to be sure that you know how verbs are conjugated, which gender to use for certain words, and how to close sentences. You must know structure, and you must correct your structure as you listen to people talk. 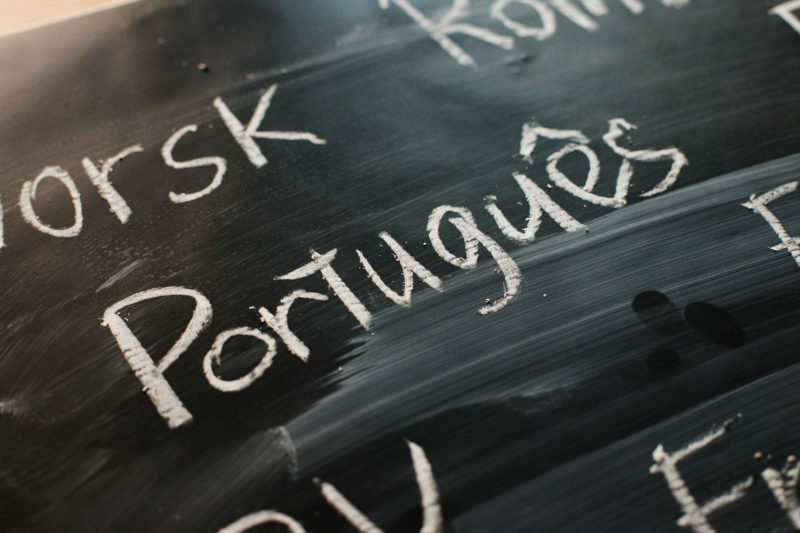 There are a lot of people who want to learn Portuguese, but they avoid the details. As you learn the details, you need to be brave enough to speak in public. People who are learning these languages often do not speak too much, and that does not help them learn. Let people correct you, get things wrong, and solve your issues as you talk every day. You need to listen to people talk so that you can see how they talk as compared to you. Their patterns of speech will tell you many things about how you talk, and you can compare to English because the structure is not the same. Go easy on yourself as you are listening. It is easy to think that you need to learn all these things right away. You might assume that you can ace this language just like you did some language in high school. This is not high school. This is a plan to practice speech so that you can learn over time. Six months is a long time, and you could learn many things in that time. Get yourself a book, download an app, and practice with real people. Immerse yourself in the language, and try to read, listen, and speak every day. Be brave so that people can correct you when you get things wrong, and talk to your business partners, customers, or friends in this language so that you can learn how they talk, how you can respond, and how to use this language to improve your life.